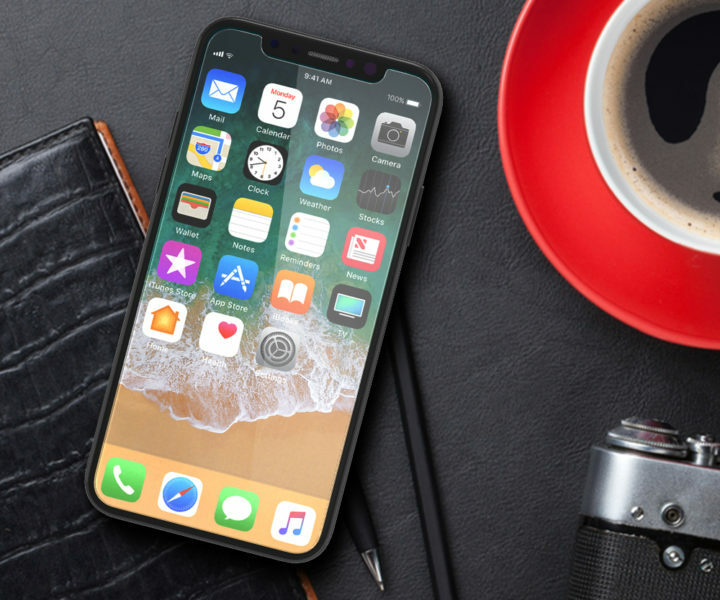 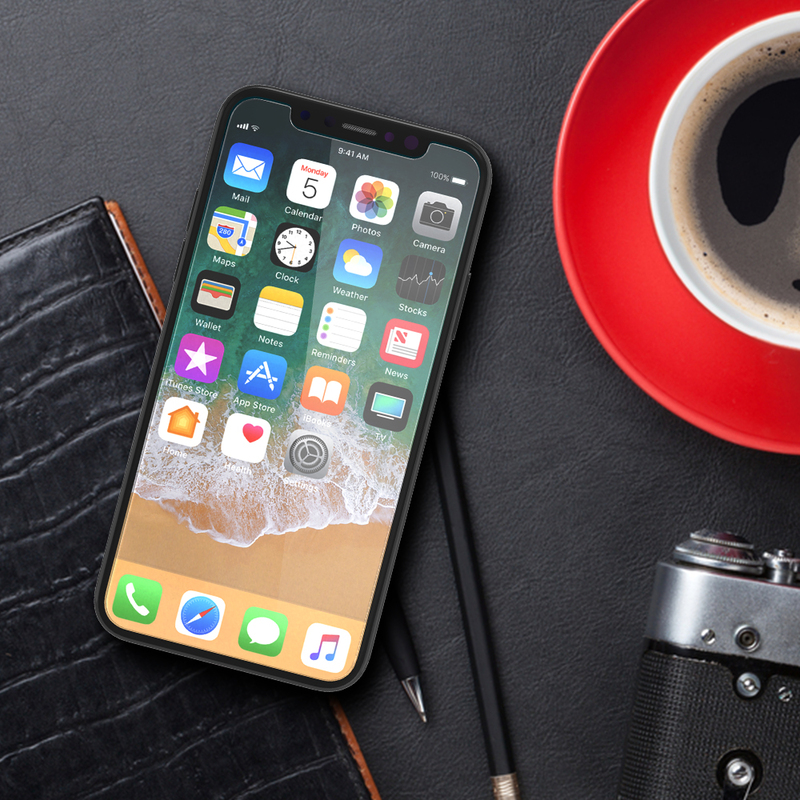 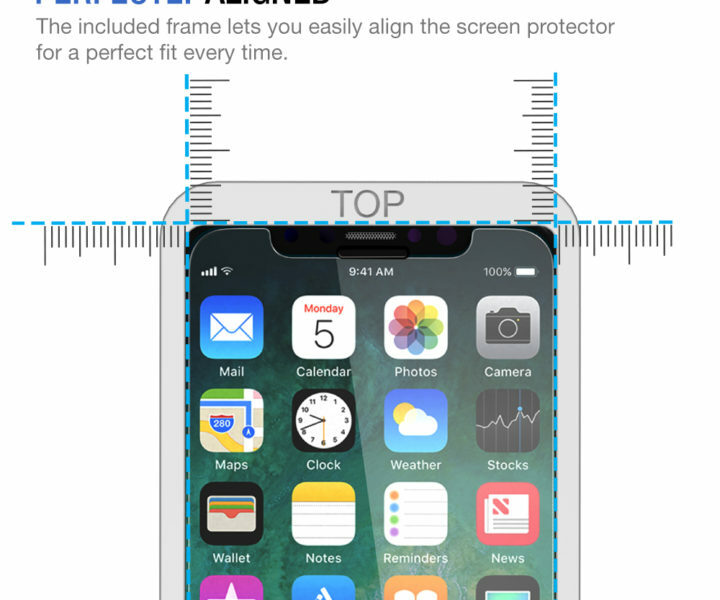 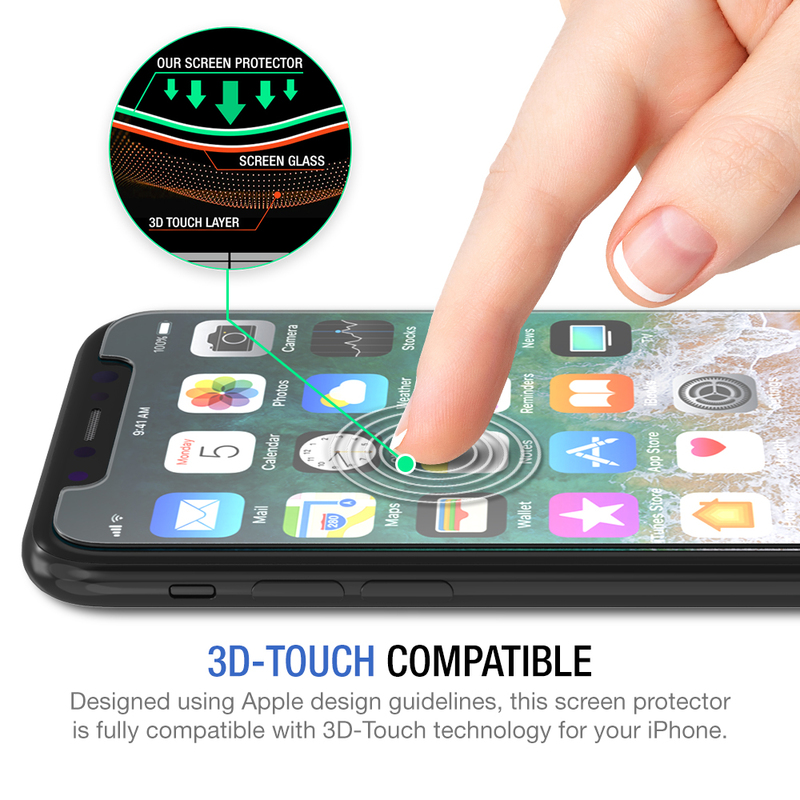 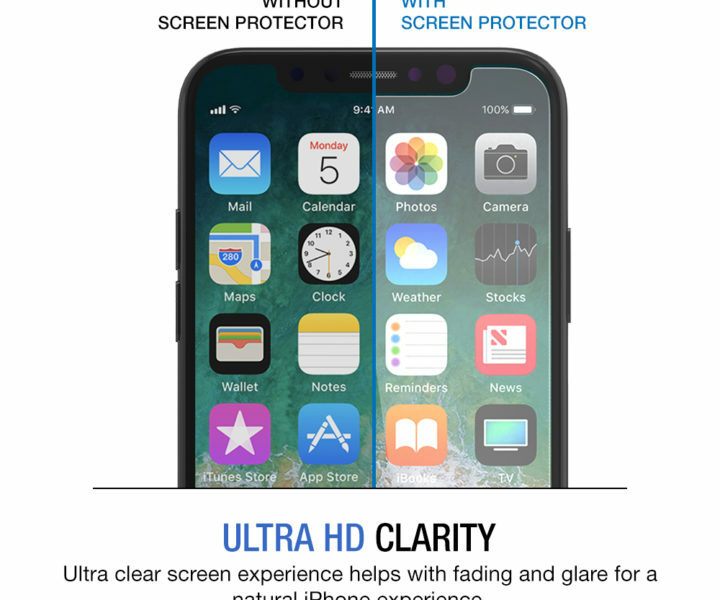 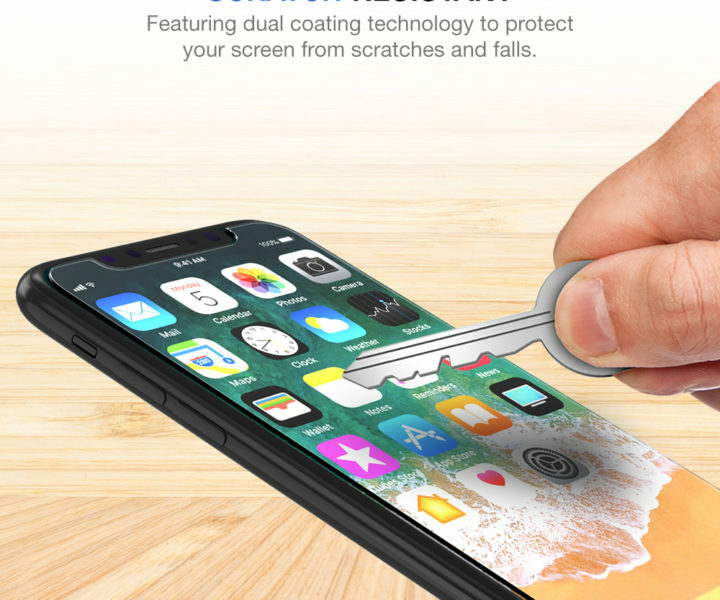 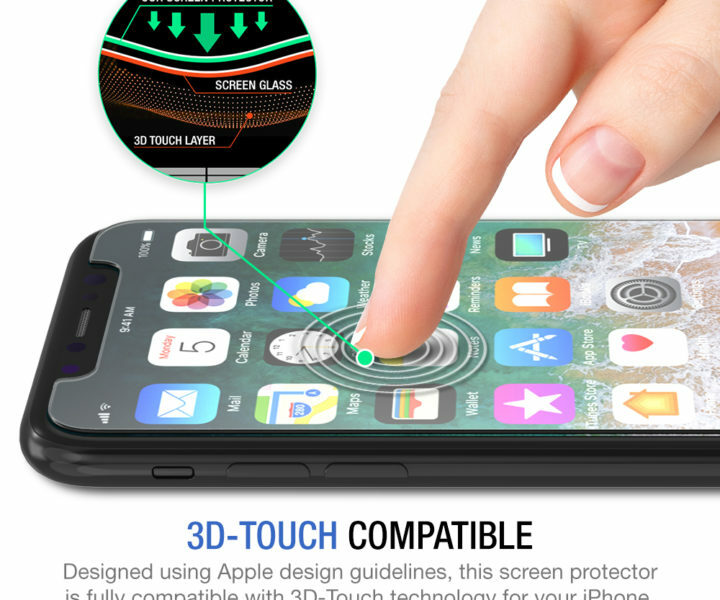 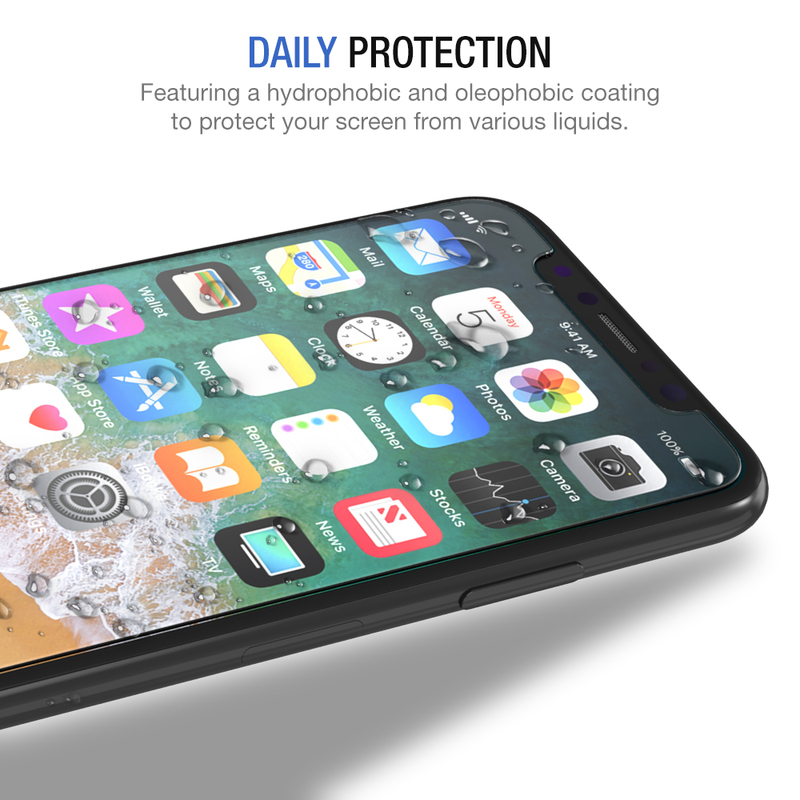 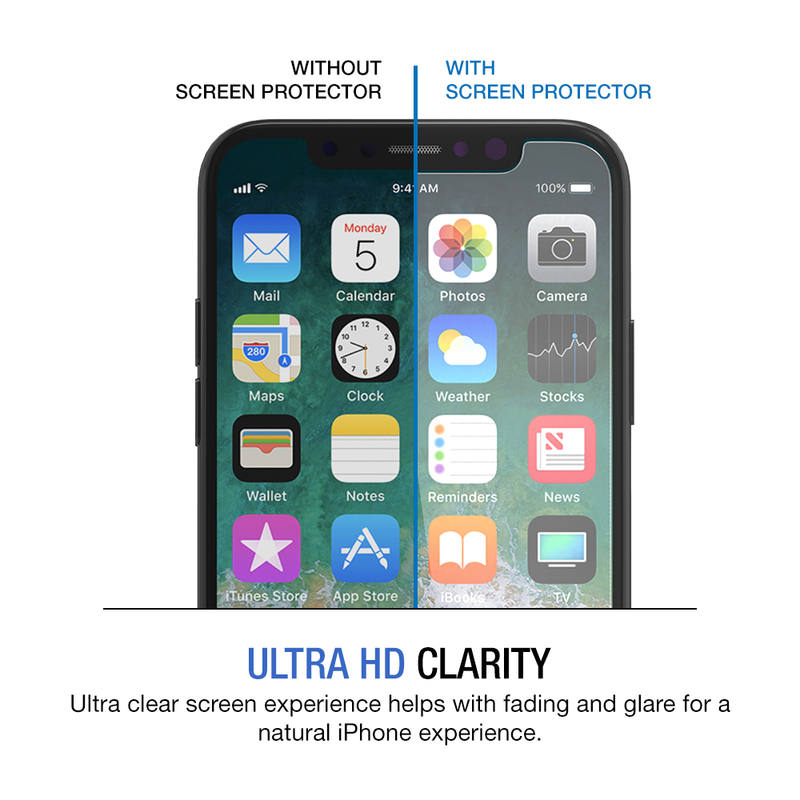 The innovative iPhone X/XS tempered glass by Tethys features a 0.2mm thin protector and includes a guidance frame for an easy-to-install experience. 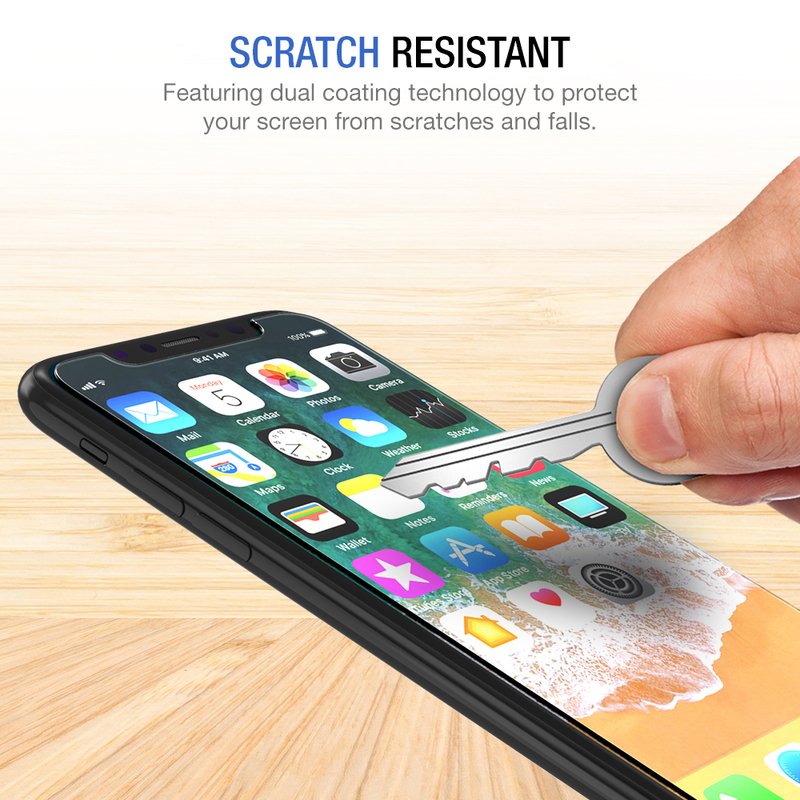 Additional features include a highly durable 9H surface hardness, scratch resistant, and drop protection. 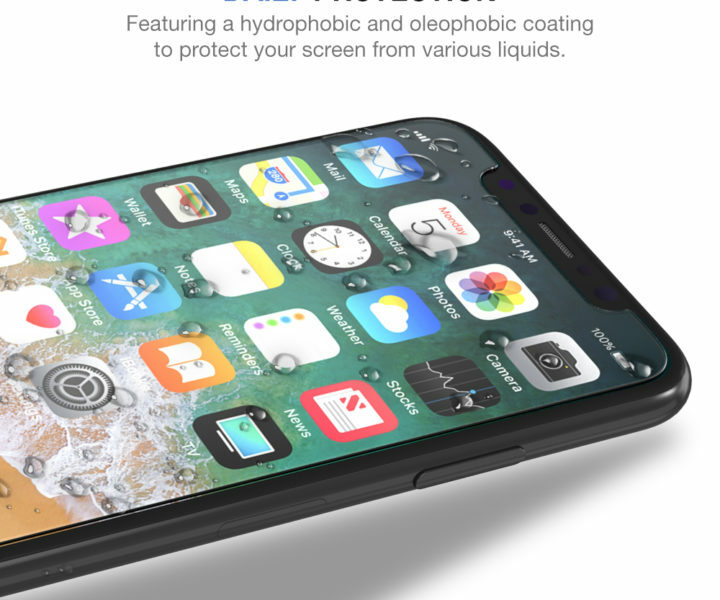 Ultra-clear, hydrophobic, and oleophobic screen coating protects against sweat and oil residue from fingerprints. 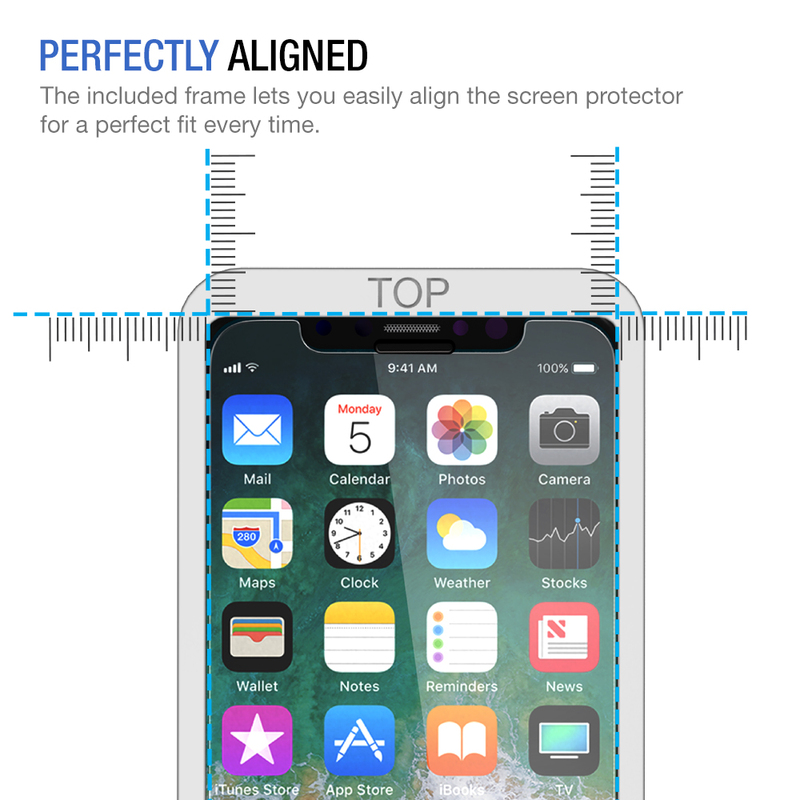 Screen protectors come surrounded by a transparent protective film on one side of the screen protector- must be removed prior to installation.